I don’t talk so much about the films that I really rate, because many have been covered at length elsewhere. But occasionally, I feel I should stick my oar in, pin my colours to the mast, and talk about my favourites. 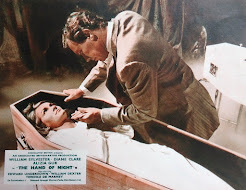 In 1975, as horror films got down ‘n’ dirty to the sounds of chainsaws and exorcisms, increasing their bloodshed and bodycounts, one film set an early, high benchmark in terror. 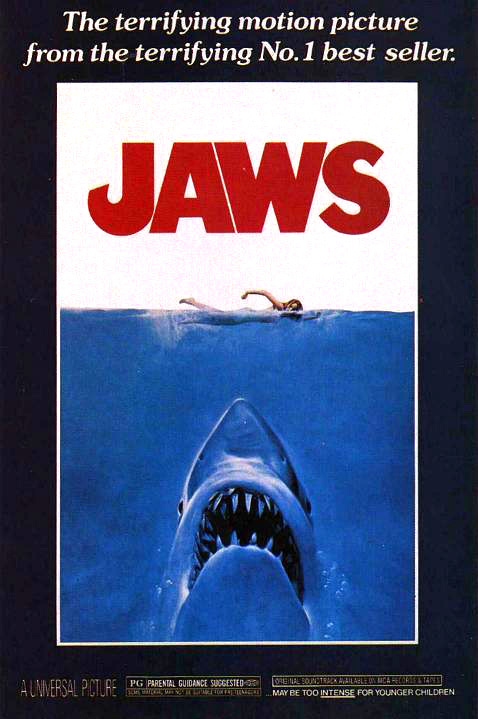 Jaws could be seen uncut by anyone at any age, but was gorier and more shocking than many horror films that followed. I’ll try not to repeat what has already been written, I’d just like to add a few personal notes. If you want to swot up, make sure you catch the two paperbacks that covered the production at the time. Carl Gottlieb’s The Jaws Log and Edith Blake’s The Making of Jaws – both written way before ‘Making of’ books became formulaic, and amongst the very first to devote whole volumes to a single film. At the time, I only recall Live and Let Die and 2001: A Space Odyssey being covered this way. Now, there’s a feature-length documentary almost as entertaining as the movie itself – on the DVD special edition – candid interviews, rare footage and Richard Dreyfuss in fine form, make this one DVD extra you should take time to watch. It could be my current nostalgia for 70’s cinema, but I presently hold Jaws as my favourite Spielberg film. It’s also my favourite John Williams soundtrack. I listen to movie soundtracks all the time, but out of all of his scores, I can only listen to Jurassic Park and Jaws all the way through without wanting to skip tracks. Besides the main iconic theme of the approaching shark, the rest of the score is pure music rather than ‘theme’ based repetition. Having repeatedly watched the film, the shocks no longer surprise but other pleasures rise to the surface. 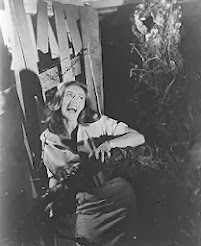 For instance, even the editing is enjoyable (you could even argue that Verna Fields’ work is as important as the direction): Police Chief Brody’s vigil in the beach-chair ends with the famous tour-de-force reverse zoom – but it’s the ‘editless’ build up of false alarms that makes the sequence so powerful. Also, the cinematography: Bill Butler achieves beautifully composed shots, despite having to depend on large-scale and difficult special effects. 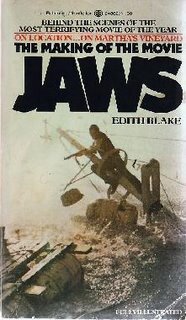 There are with individual shots of beauty and horror, that could work in isolation – the high-angled shot of Brody enjoying the thrill of the chase with the sun glistening on the sea behind him, and another high shot of the stuntman flailing besides his upturned rowing boat, as the underwater shadow of the shark glides towards him with its mouth gaping open. His camerawork almost takes you into the action, with numerous point-of-view shots, particularly the ones at water level. The cast all seem irreplaceable. But there’s one performance I particularly look forward to – Murray Hamilton as the shifty Mayor. He takes us on a steady decline from being the island's Number 1 Mr Big, to a bumbling wreck with blood on his hands. 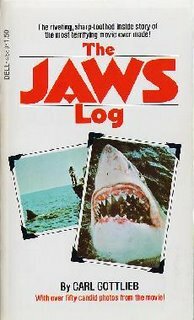 At the time, Jaws was classed as being part of the disaster movie cycle. Fair enough, besides worrying about tall buildings burning down, jumbo jets, earthquakes and ocean voyages, it also made me frightened of swimming. 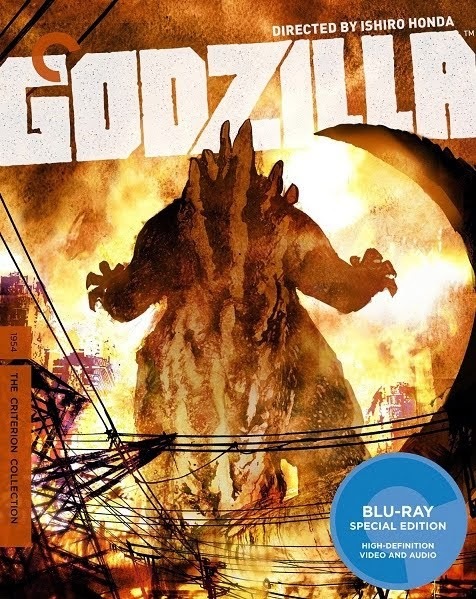 But today, it can classify as a monster movie or a horror movie, one of the best. Loved your posting. This is one of those films that transports me back to my youth in the 1970s. I never tire of it, and it's mastery seems to just get better year after year. The three main characters played by Dreyfuss, Shaw and Scheider are so interestingly drawn that no matter how dated the effects start to look, the characters always hold your interest. I think that is exactly where JURRASIC PARK fails. I always loved the the effects in JURRASIC, but found the main characters so uninteresting that I found it hard to care what was happening to them. They do both have great scores by Williams. I agree 100%! The small pleasures to be found in watching JAWS again and again are many, but you mentioned my favorite: the gleaming shot of Brody enjoying the thrill of the chase. Great call. The music on that shot seals it as a great moment. It also echoes the downward shot, past Brody, of the water on the 'chumming' scene. One of the biggest jumps in the movie - but you actually see it coming! While some of the many inventive camera techniques, not to mention angles, are, indeed, quite brilliant, my favourite scene in the whole film is when the three leads are sitting in the Orca with Dreyfuss and Shaw comparing scars. The only special effect at this point is the shooting star in background (and, for all I know, this may have been a lucky accident), there is no action. It is entirely character driven, yet gripping. This, to me, is the high point of the film, and, perhaps, of Spielberg's career. Just today discovered your site, so, quite late in joining this discussion. Favorite scene for me, then as well as today, is so subtle it almost goes unnoticed, yet says volumes regarding the character. Quint is enjoying a leisurely cruise in his chair with Hooper at the boat's controls and a very unhappy Brody ladling chum over the side to hopefully lure their "big fish" in. Camera angle adjusts to below a very large fishing spool, looking up at Quint as he casually munches on crackers or something. And then, "tick", "tick tick tick". The spool feeds out incrementally. Quint eventually looks down, having heard the line feed, then glances out to sea. He knows what is at the other end. We certainly do. Yet, with the utmost calm, he begins to prepare for battle, strapping himself into his fighting chair and setting his feet for leverage. The scene is without music I believe, and when viewed against what has thus far transpired, an absolute model of understatement. It tells us in our seats so much about the character, without having muttered a syllable of dialog. And we all know that it is about to hit the fan. The battle is about to be joined. As for the last shot in Jaws, it looks exactly like Cape May Point in New Jersey. I have seen this film at least forty times and every time and it just never gets old. But every time, I swear that that last shot is filmed at Cape May Point.